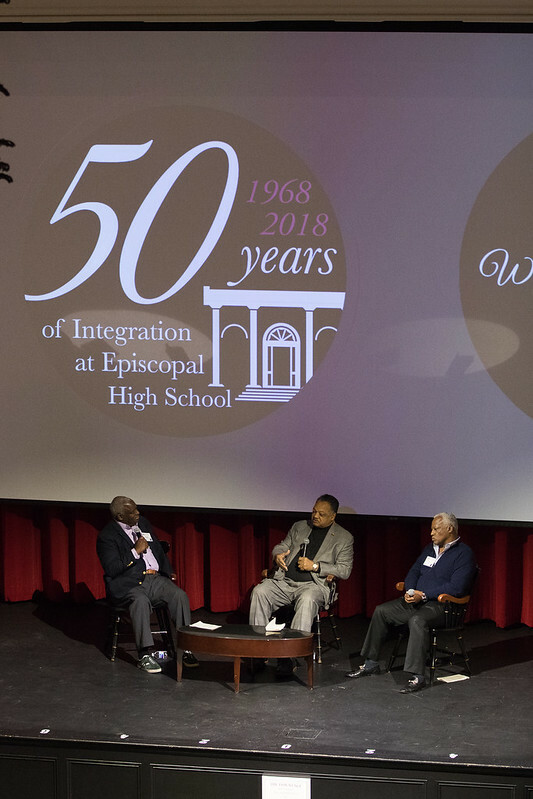 Episcopal High School | "My Testimony is My Life"
"My Testimony is My Life"
The 2018 Spirit of The High School dinner wrapped up a special day commemorating 50 years of integration at Episcopal, with a near-record crowd in attendance. 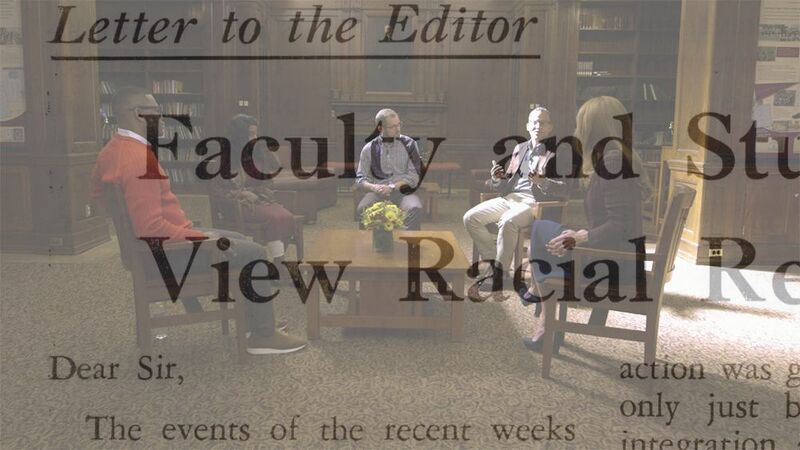 The first time in his life Tony Chase ’73 sat in a classroom alongside white peers was his first class at Episcopal in the fall of 1969. Chase, the son of the first black student to enroll and then graduate from The University of Texas at Austin, chose Episcopal in part because he wouldn’t have to be the first; Regi Burns ’72 and Sam Paschall ’72 had enrolled the year before. In a keynote address filled with gratitude and poignant observations, Chase expressed pride in the important progress made by Episcopal over the past 50 years and his faith that the School would continue working “to ensure the promise that this community made to support diversity and inclusion will continue to be kept” in the years to come. “Moral courage, ethical leadership, and service are impossible in an environment or in a life that lacks the diversity with which our Creator has blessed our world,” he said. Following Chase’s talk, EHS Board of Trustees member Rodney Robinson ’86 formally announced the significant expansion of the Reginald W. Burns ’72 Scholars program. Initially seeded with funds raised by Burns’ classmates and friends following his death in 2016, the scholarship was elevated to a remarkable level thanks to a significant gift to the endowment from Elizabeth and Lee Ainslie ’82. The Burns Scholars will cover the full cost of attendance for one student in each class, every year, in perpetuity. “In a strategic plan that emphasizes strength of community and the development of young people equipped to lead through courageous action, I can think of no better example to hold up than that of Regi Burns,” Robinson noted in his announcement, which received the night’s second rousing standing ovation following one for Chase’s talk. The evening’s program began with a stirring opening prayer by current EHS grandparent and civil rights icon The Rev. Jesse Jackson. After the dinner, the audience viewed a 12-minute video filmed and produced by Luke David ’93 looking at how current students are researching and working to come to understand Episcopal’s past while also interviewing alumni from the past 50 years reflecting on the impact of their integrated EHS experience. Following the remarks by Chase and the announcement of the Burns Scholars, the program concluded with student musical performances before the crowd was invited to join students outside for the annual Spirit Weekend community bonfire. Entrepreneur Tony Chase '73 offered the keynote address at The Spirit of The High School Dinner on November 6. Rodney Robinson '86, a member of Episcopal's Board of Trustees, gives news of the new Regi Burns '72 Scholars program to the audience. The EHS Chamber Singers closed out an incredible program with two songs. Skye Jackson '21 introduces her grandfather, the Rev. Jesse Jackson, to provide the evening's blessing. Some 340 alumni and guests were in attendance for The Spirit of The High School Dinner, one of the largest crowds on record.